Roofs don’t last forever and depending on when you moved into your home or the kind of damage the roof has sustained over time, it’s entirely possible that during the time in your home you will have to undergo a complete roof replacement. The term might evoke all kinds of painful images of people hammering away on your roof for days on end. In truth, the process doesn’t have to be that nightmarish. Your roof replacement doesn’t have to mean the end of the world. Here’s some insight as to what to expect. A roof replacement doesn’t have to age you a couple of years. If you’re working with a professional and efficient roofing company, they are likely to take just a couple of days to complete the job. The work is labor-intensive, but when done by professionals need not cause a major disruption to your life. The extent of the project depends also on the roof area and the kind of roof you are having replaced or installed, but even with these factors, the typical job is done in a matter of days. Protective layering is set to protect other parts of your home, windows, etc. This includes setting tarp or plastic to ensure no materials damage other parts of your home. We carefully remove all the old shingles. We collect the old roofing material and discard of it properly in a dumpster. Depending on the condition of your roof we might then have to make some repairs to the plywood sheathing. We repair or replace any old flashing around your roof. We install protective layering on your roof including ice dam protection or water shield, which helps protect against moisture. Then, the roofing felt layer or asphalt roofing is installed. The new roofing material can then be placed. Finally, we clean up, do a final inspection, and make sure everything is working properly. 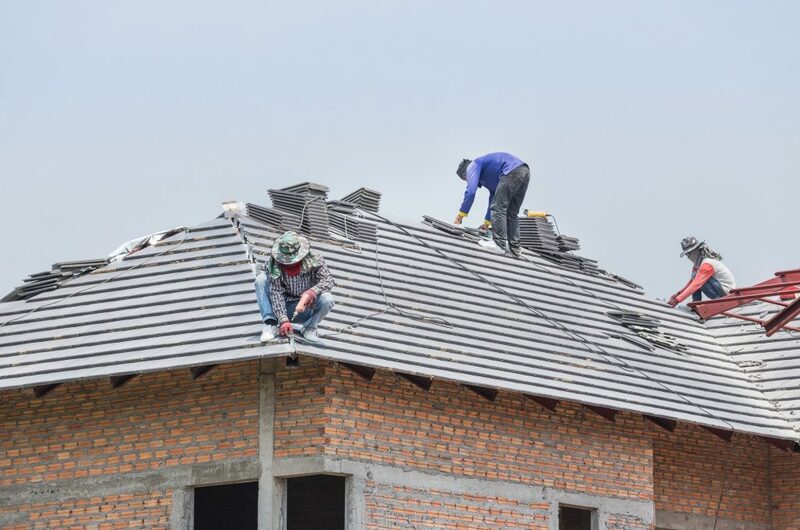 While getting a new roof is not exactly a glamorous undertaking; it is necessary and the key to your family’s safety, health, and your investment as a homeowner. Don’t let the concept overwhelm you. Work with a company that is there for you and can get the job done right. Copyright © 2019 El Paso Roofing Co.